How Can You Effectively Detect Commercial Roof Leaks in Time? Finding commercial roof leaks can be extremely important. Your business can depend on it, especially when water starts flowing down your walls and onto your equipment. While you’ll probably spot smaller leaks much sooner than that, there’s a lot to be said about the need for caution in this situation. The first thing you need to look at is the roof membrane. Once the membrane starts to age, it’ll shrink, blister and break, and you can be dealing with a larger leak than you’ve expected. 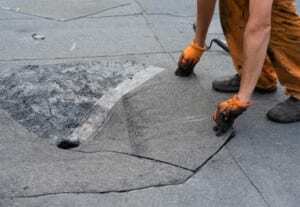 If the membrane looks damaged but the damage isn’t too visible, then it would be a good idea to call your commercial roofing Colorado Springs CO repair specialists for a complete roof inspection. If you have a metal roof, it’s important to take into account the fact that metal can rust. Check the roof thoroughly to find any signs of damage, and also try to find places where rust is setting in. A rust-inhibiting primer is all you need to make sure the roof stays in good shape for a long time to come. Detecting and taking care of commercial roof leaks can be somewhat difficult, but with the right tools and the right knowledge, you’ll find the task will be much easier than you can even imagine.